This comes a few months late, however, we are still so grateful for the AWESOME service by Mitch and his team. My husband had been searching for months (via internet, via word of mouth, etc) for a camper shell that would match the blue paint of his GMC, have some accessories we wanted and meet our financial needs…but coulnd’t find what he wanted through all those avenues until I heard about Bay Truck Accessories. JACKPOT with these guys!! Not only were they friendly, but eager to get everything my husband wanted…even matching the paint color to his truck, and all in a very short time. We very much appreciated their personal service and expertise….highly recommended if you are looking for quality service and product. Thanks Mitch!! From the friendly staff to the clean shop these guys now what they are doing. My parts were in the shop within a day, installed and at a good price. They have a very extensive inventory of all your tuck and off-road needs! Mitch was very knowledgeable and helpful. He gave me some very good recommendations regarding the type of camper shell and truck rack to buy for my Toyota Tacoma Double-cab. I went to another camper shell dealer and did not hear the same recommendations. Their pricing was pretty much the same as the other camper shell dealer. I was very glad satisfied with the products and service that I received from Bay Truck Accessories. Great guys! always professional and knowledgable. They always get the parts I need quickly at a good price. Mitch and his staff are great people and its alway a pleasure to do business with them! Love these guys. They did a bunch of repair work on my rv after I crunched it, and came up with some smart ideas about how to fix stuff that was making me crazy. Reasonable and they get the work done when they say they will. These guys KILLED IT on a complicated install for me. Went way beyond the call of duty and did not charge me extra even though the job was more than they bargained for. I am super happy with the result and I will do my best to send people to see these guys. Highly recommended. Bay Truck is awesome! 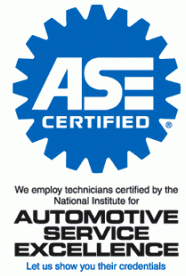 I have used them now about two years for various things on my Tacoma and they have great prices and quick service. I wish I knew about them years ago. The place I went to previously was slow and I always felt like I was being ripped off. These guys are great. I will never take my truck anywhere else again! I go here for all our towing and trailer needs. From an auto shop owner. I trust these guys with equipment and repairs to trucks and trailers that we cant handle. Go see Derrick. stand up dude. His pricing cant be touched. I had a hands-down GREAT experience with Bay Truck. I’m on a tight budget but wanted to get a tall camper for my pickup. After talking to Mitch we settled on a great solution. I now have a custom-made Lifetime shell on my truck and it came out perfectly. Installation was quick and professional. I can’t recommend Bay Truck enough.